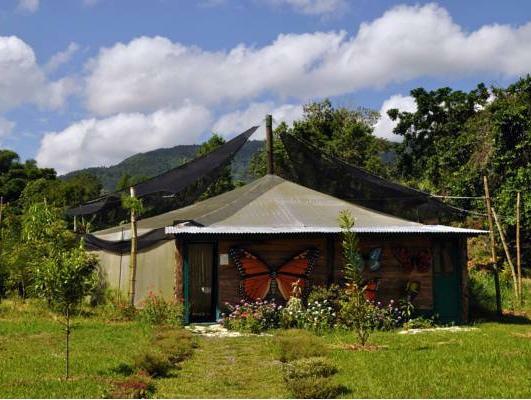 ﻿ Best Price on Rancho Baiguate in Jarabacoa + Reviews! Located outside the town of Jarabacoa, Rancho Baiguate offers an outdoor swimming pool, lush gardens and free parking. Each bright, tropical-style room features free Wi-Fi, a fan and a private bathroom. Guests can dine at the Rancho Baiguate’s on-site restaurant, which offers a buffet with traditional Dominican cuisine. The hotel also offers a fully stocked bar, set in the gardens. The breakfast, lunch and dinner are included on the rate. Rancho Baiguate can help arrange outdoor activities, including hiking, rafting and mountain biking. You can also organize excursions to nearby Pico Duarte Mountain and Jose del Carmen Ramirez National. The property is only a 5-minute drive from the Jimenoa Waterfalls and Jaracoba Golf Club. Las Americas International Airport is 109 mi away.